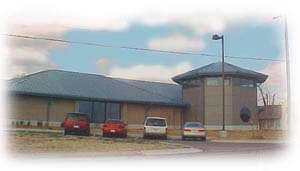 The Owasso Library, a branch of the Tulsa City-County Library System, was built in October, 1990. Renovations were completed in 2002 extending the room for vast information in the form of books, magazines, newspapers, maps, computers, tapes, cds, and cassettes. The Owasso Library also has a meeting room, and study areas for children and adults. With over 30,000 items on hand, the Owasso Library has a wide range of books available, including adult and young adult fiction, non-fiction, children's and reference works as well as compact discs and music cassettes. Throw in major magazines, books on tapes & cd, paperbacks, computers; There is something for the whole family to enjoy. Specific areas of interest are in the young adult area, where a bulletin board with cool library happenings, and the latest series of paperbacks are available. In the Children's section is a current Sequoyah List. The Sequoyah List is where children read and vote for their favorite book, and then the chosen author is invited to come to Oklahoma to receive an award. Other specific areas of interest are free access to computers, and the Internet (first come, first served). The Internet can be a valuable on-line resource tool for anyone wanting to obtain more information about any subject. The Library's computers also have word processing so people can type resumes, letters, essays, or whatever. A wide range of community programs are offered. The Owasso librarian provides a weekly news column in the Owasso Reporter Newspaper about what the library is doing and what new books are in, entitled Library Corner. Program guides for the entire library system can be picked up at the Owasso Library. During the summer months, the library offers a Summer Reading Program for young people. Credit is given for reading books and going to the library. Special awards are presented to those who complete the program. Other summer programs include puppets, magic, story telling and informational programs. Story Time is offered all through the year. Lap sit for newborns through 2 year olds, and their caregivers; and preschool for 3 to 5 year olds. No registration is required and the programs are free of charge. Get your Library card at the Owasso Library, or your local branch, so you can check out material from the library and start your literary journeys. Experience why the Owasso Library is the pride, and one of the most valuable resources, of the Owasso community.